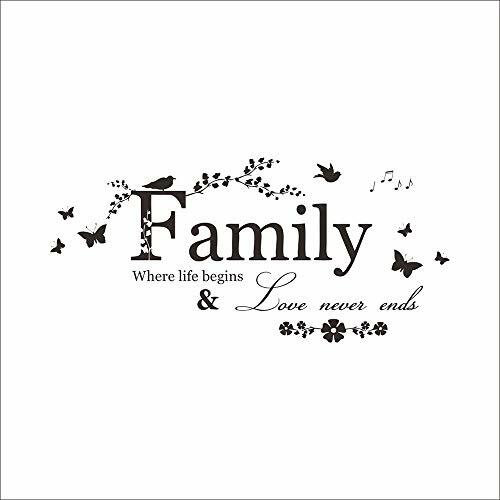 -- If you are looking something to decorate your room or office, our quote wall sticker is your great choice. -- If you think your room is too simple, this black wall decal can make it interesting. HIGH QUALITY: Our wall sticker made from top vinyl material and never damage the wall. MAKE YOUR ROOM MORE ENERGETIC: Decorated by this interesting and lovely quote wall sticker, your room will become more noble and youthful. GREAT STICKER: Wall stickers can quickly and easily breathe life into otherwise plain surfaces. the decals are a quick and affordable way of personalizing your home without the hassle and frustration of painting. EASY TO USE: It's easy to apply on the wall, don't need to the assemble issue, you can have a try. If you have any questions about this product by Potelin, contact us by completing and submitting the form below. If you are looking for a specif part number, please include it with your message.